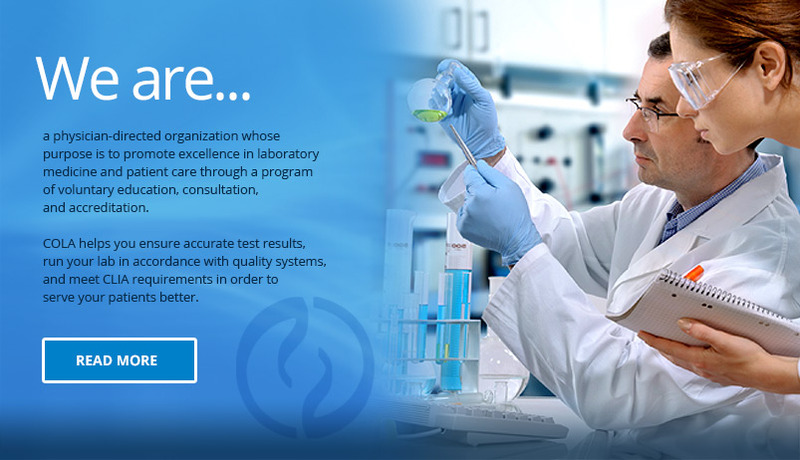 Update your lab profile, view communications, see survey results, prepare for upcoming surveys, and receive support for a whole range of laboratory needs. 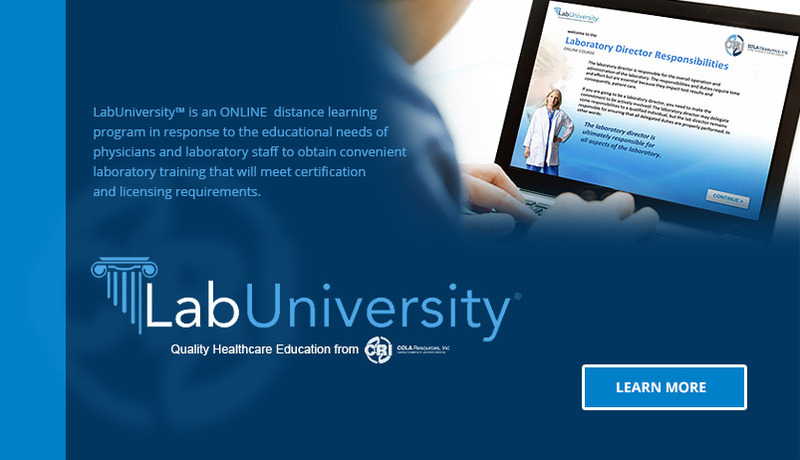 An online learning program that helps physicians and laboratory staff obtain convenient laboratory training that will meet certification and licensing requirements. Individualized Quality Control Plan (IQCP) is effective QC that allows laboratories to consider all of the possible sources of errors unique to their individual laboratory. 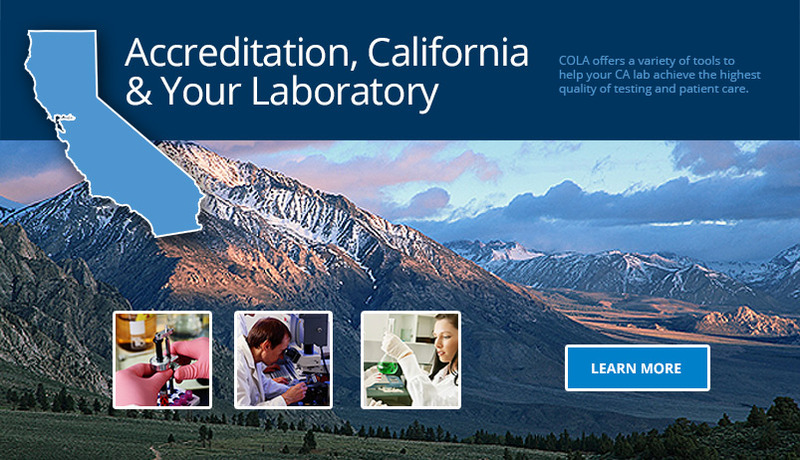 Our goal is simple – we use our educational laboratory accreditation program to help your laboratory improve quality, efficiency, and achieve compliance. 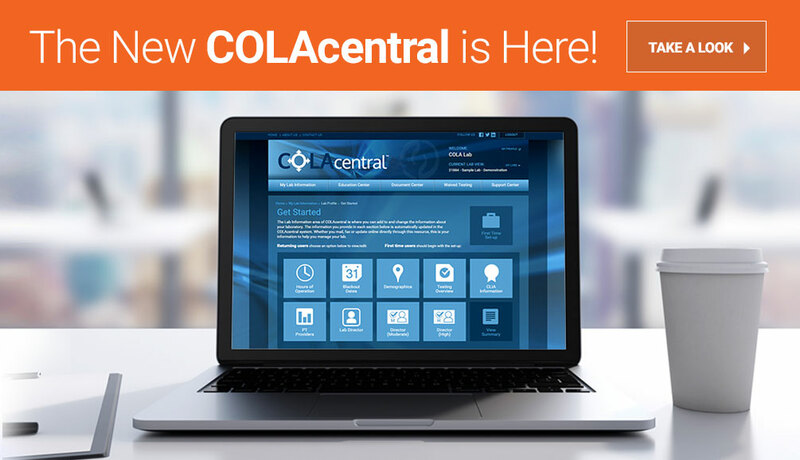 When you work with COLA, you can expect to not only to meet federal CLIA and state regulatory requirements, but also benefit from the educational services we provide. 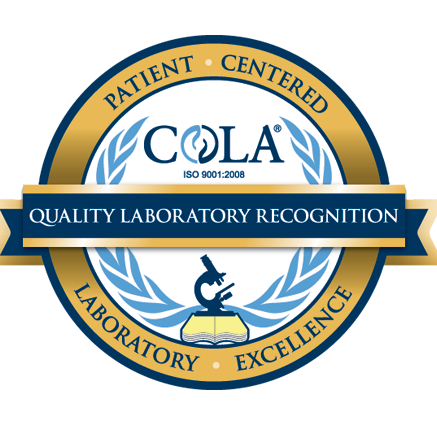 COLA’s clinical lab accreditation services offer competitive pricing, straightforward standards, and over 25 years of accreditation experience. 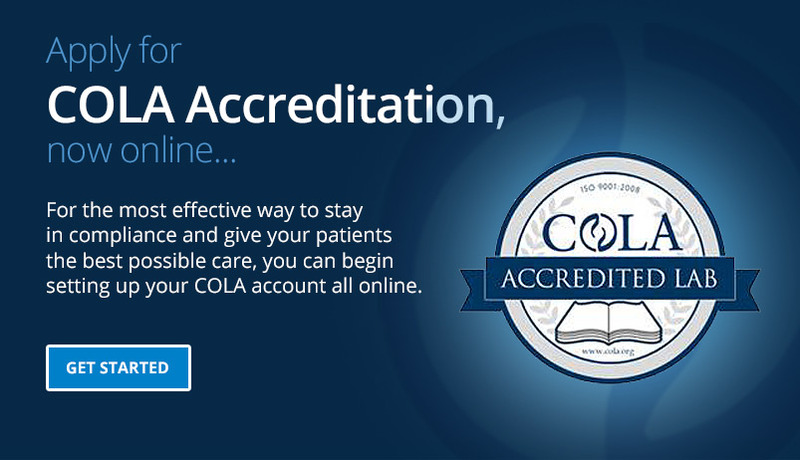 If your organization wants to have an immediate, positive impact on patient care, choose COLA for accreditation. 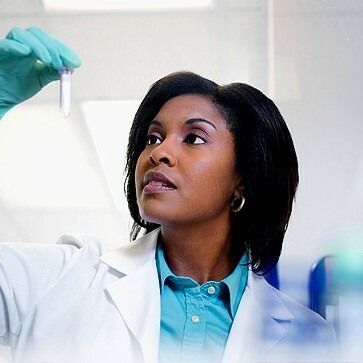 Individualized Quality Control Plan (IQCP) is effective Quality Control, based on risk management that allows laboratories to consider all of the possible sources of errors for a test system, including those that are unique to their individual laboratory. 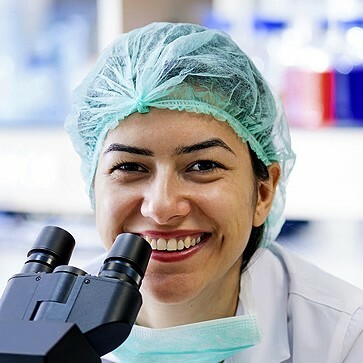 Through IQCP, laboratories can develop a QC plan that is customized for their testing workflow process, while maintaining compliance with the applicable regulations. Our IQCP e-Optimizer® program is designed to educate and strengthen IQCP core competency by offering an array of tools to help develop an effective IQCP. 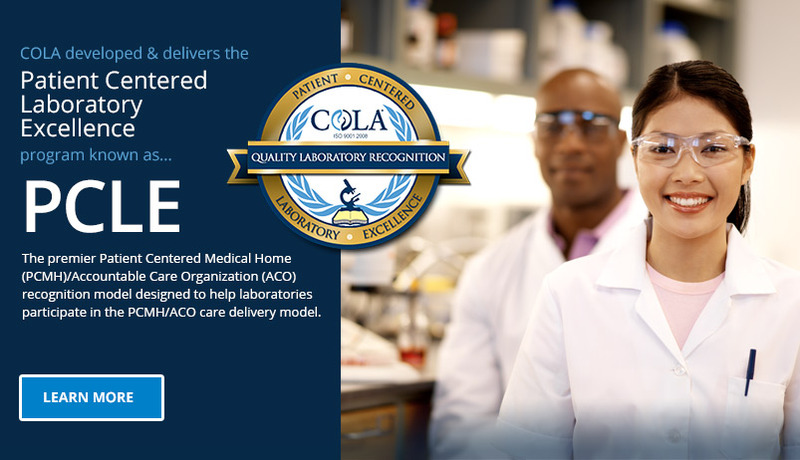 COLA’s PCLE program is the premier Patient Centered Medical Home (PCMH)/Accountable Care Organization (ACO) recognition model designed to help laboratories participate in the PCMH/ACO care delivery model. 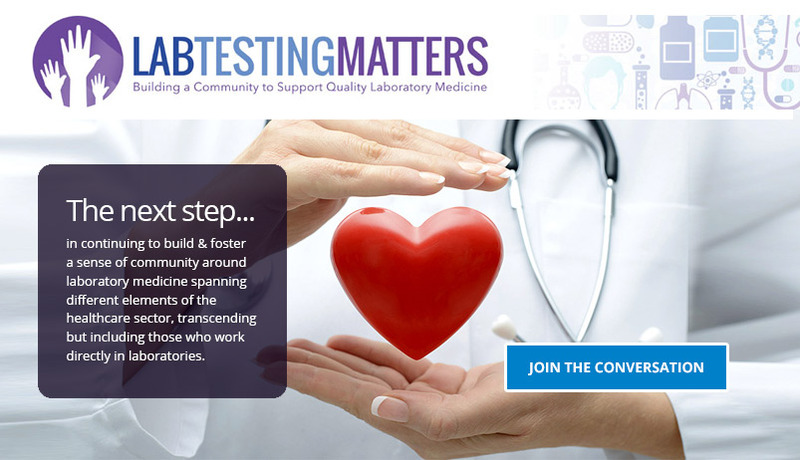 Our trusted and time-proven approach to laboratory medicine has positioned us as the leader in laboratory accreditation with the resources and strengths to guide your practices participation in a laboratory focused approach to recognition in the PCMH/ACO healthcare models. 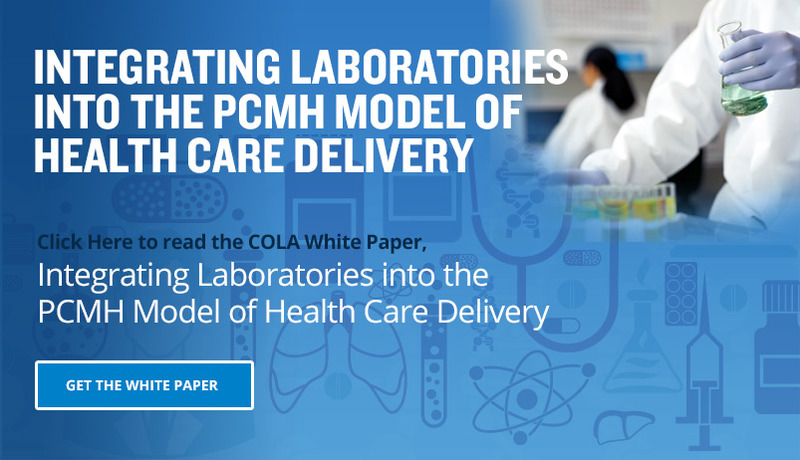 Between the changing health care environment, the depth of regulatory demands placed upon laboratories, and the demand for continuing education, COLA recognized the value and impact continuing education has on driving quality laboratory medicine. As a result, COLA formed COLA Resources Inc® (CRI®), an independent subsidiary focused on the educational needs of this ever-changing environment. CRI® provides both “educational” and “consultative” services to healthcare professionals, with the goal of instructing and training these individuals in improving their skills and, ultimately, to perform higher quality services for the communities they serve.